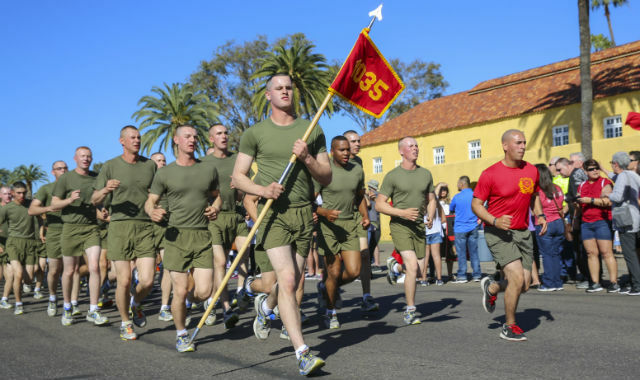 An outbreak of diarrhea illnesses, including cases of E. coli infection, has sickened about 300 Marines-in-training at Marine Corps Depot San Diego along with some personnel at Camp Pendleton over the last week, base officials announced Tuesday. Among the patients, 10 were admitted to an off-base hospital, and the remainder were being cared for at military medical facilities. Normal training regimens are continuing as scheduled at the 5,500- recruit military training station adjacent to Lindbergh Field, according to the base’s public-affairs office. The source of the outbreak is under investigation. The rash of illnesses, including some at a training facility on the grounds of Camp Pendleton, began six days ago, with a spike in cases reported Monday, according to Marine Corps officials. — Dissemination of guidance on identifying symptoms to allow for proactive and prompt treatment for potential patients. Family members will be contacted by the command if a recruit’s graduation date changes due to missed training resulting from sickness, base officials said.